Day 11: Work on the other hand – Nick. Work on the other hand. Pick a medium you’re comfortable with, then work with your non-dominant hand. Just a quick one today, since it’s a Friday. I didn’t fancy handling scissors or a razor with my left hand, so manual paper cutting was out. 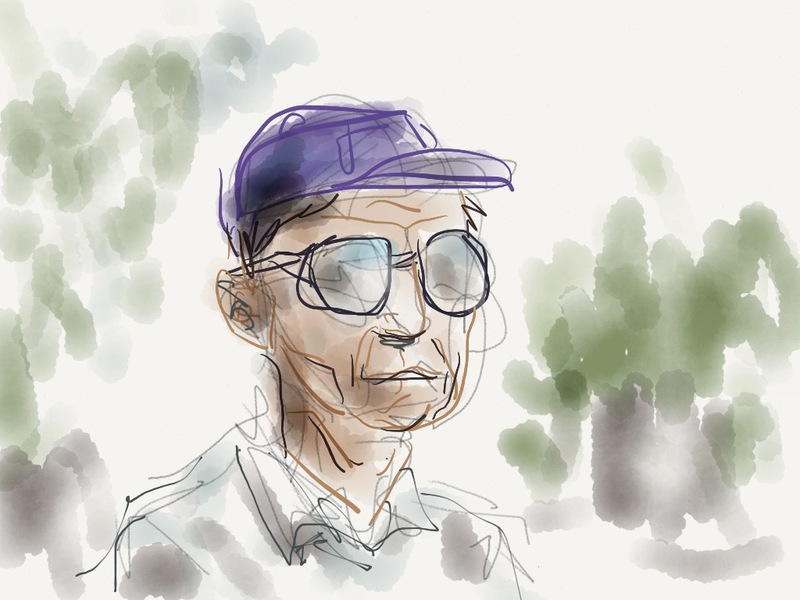 In then end, I decided that using Paper (by FiftyThree) for iPad was close enough to paper crafting, because… well, it has “paper” in the title… and I could sketch with my left hand while watching the news and flicking through channels with my right. Posting work-related stuff at Guts Up!